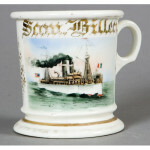 Shaving Mug with Schooner, porcelain with polychrome painted two-masted schooner. The vessel is under full sail and tiny figures can be seen as it cruises along at dusk. Framed in gilt and with a monochrome purple wrap and floral designs. 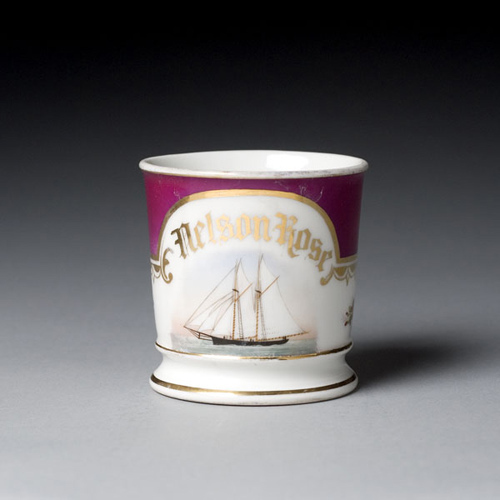 Gilt name Nelson Rose. Marked D & C.